“Nostalgia and Utopianism in New Zealand"
Dr Paul Moon Professor of History at A.U.T. has published 25 books, mostly about New Zealand History. Professor Moon has appeared on numerous documentaries, current affairs, and news programmes, both in New Zealand and internationally. He is one of the country’s best-selling and most acclaimed historians. 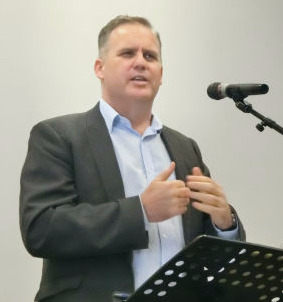 Paul addressed 200+ U3A members from all over the Auckland Region and beyond.